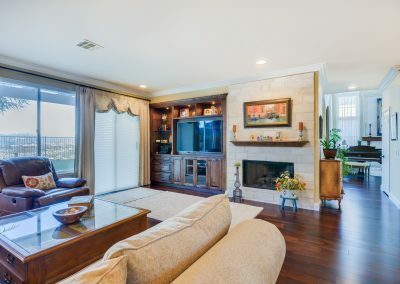 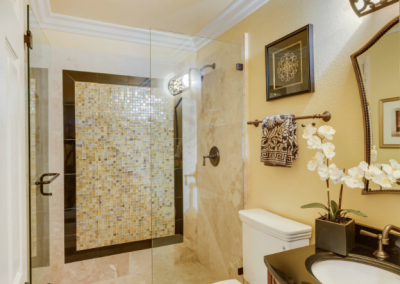 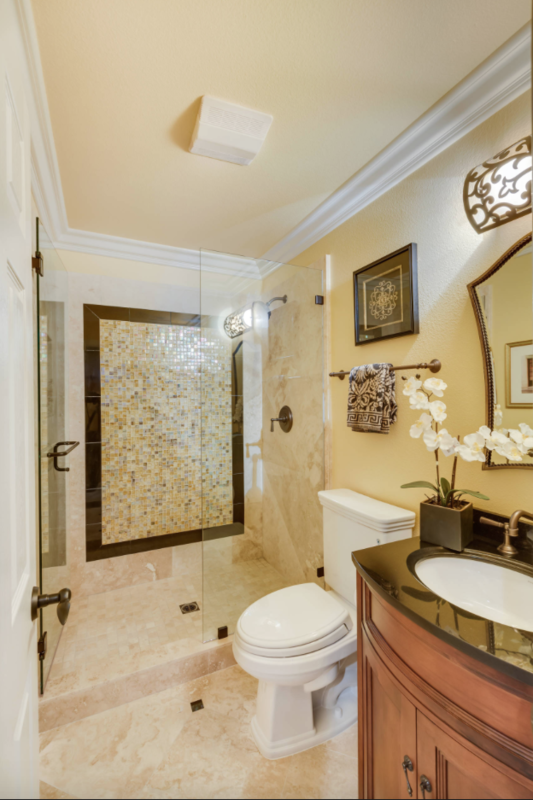 A tract home in the Scripps Ranch area of San Diego was remodeled in the French traditional style. 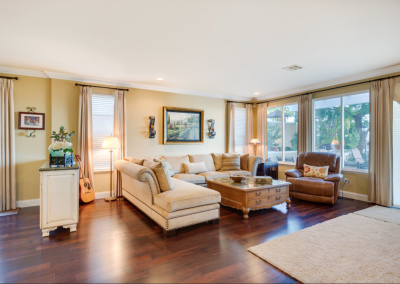 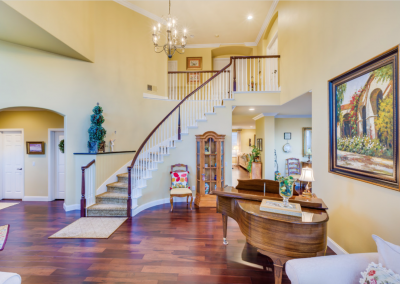 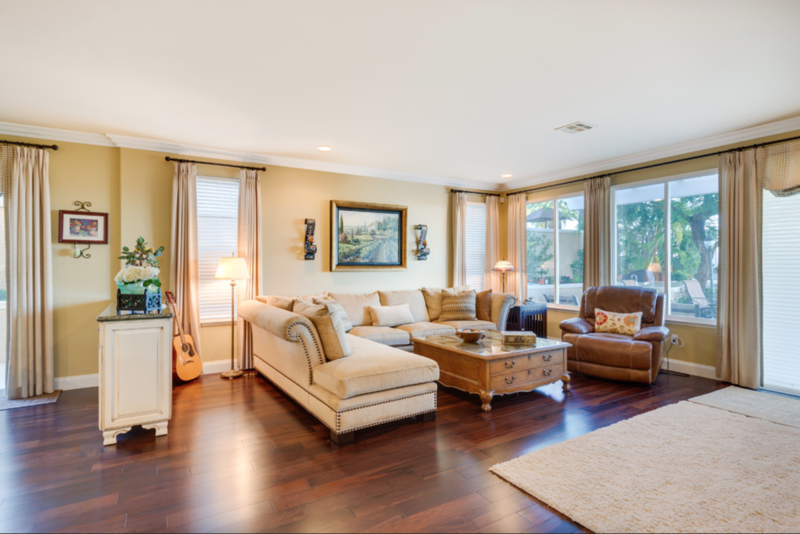 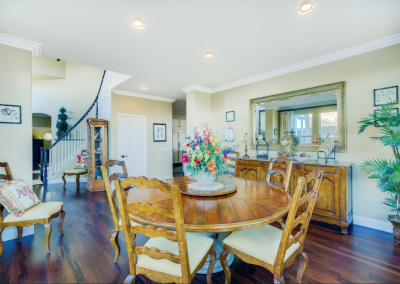 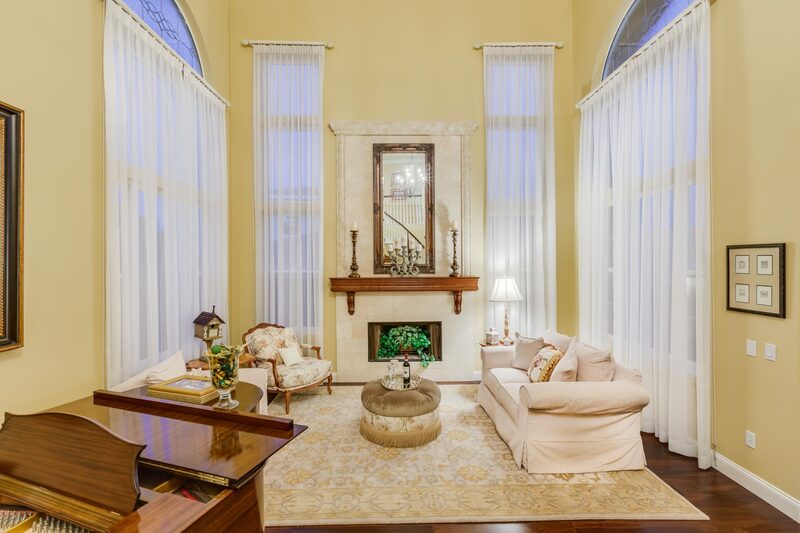 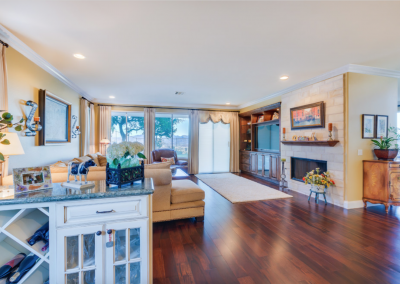 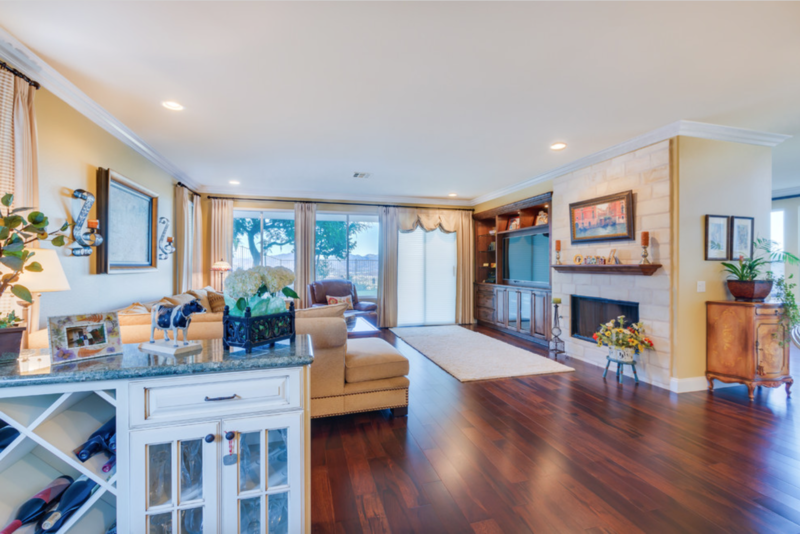 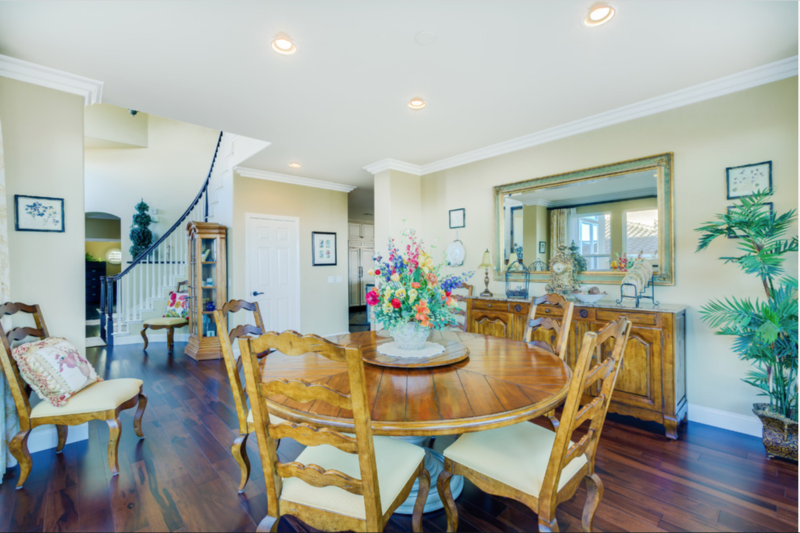 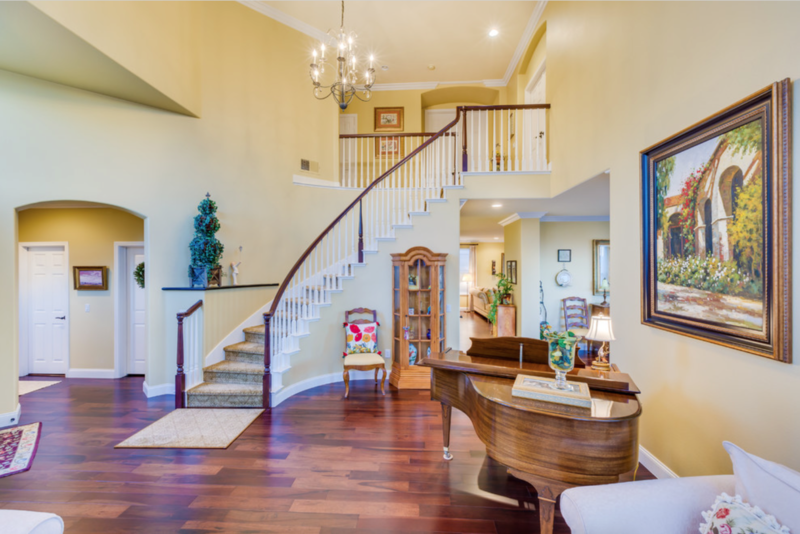 Wood flooring of Brazilian pecan was used throughout, accented by wide white molding. 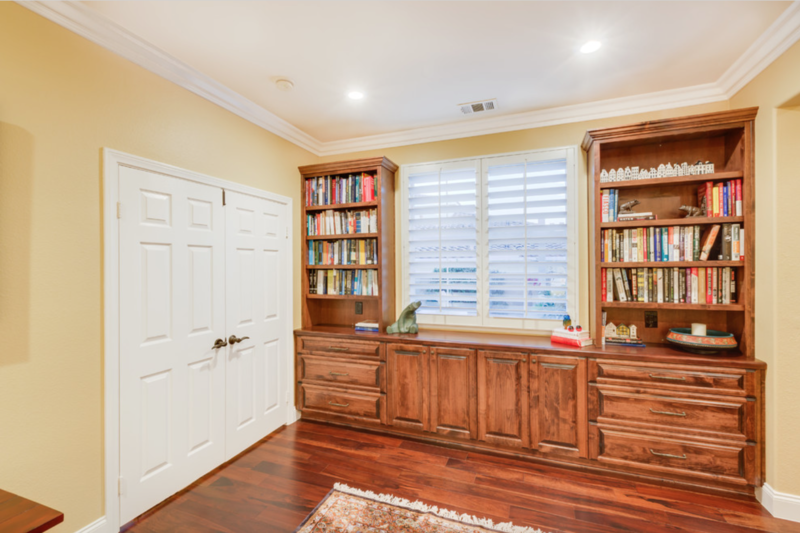 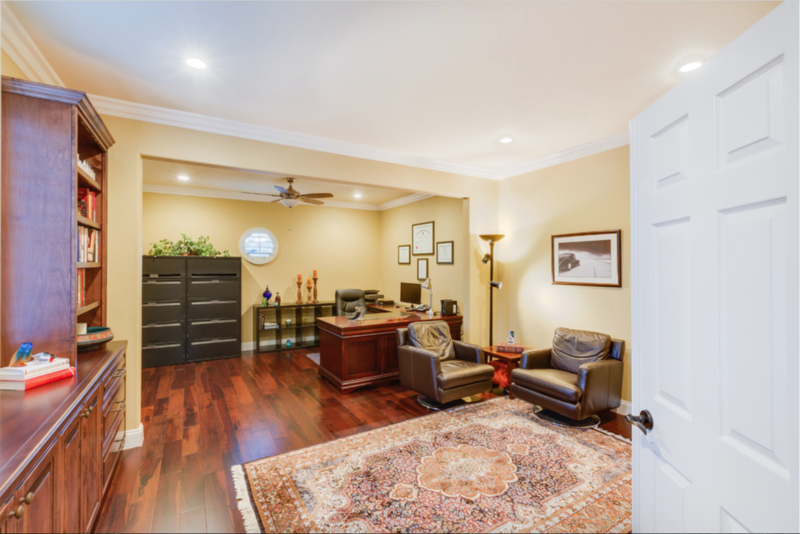 A large home office was created by removing the wall between a bedroom and the adjacent single-car garage. 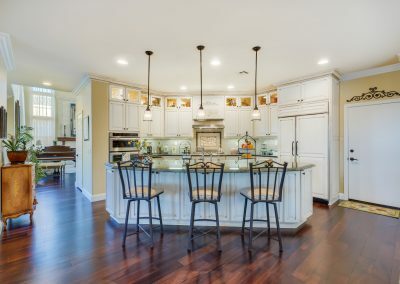 The garage floor was raised to match the elevation of the house, and the garage door left on the outside to leave the appearance of a three-car garage. 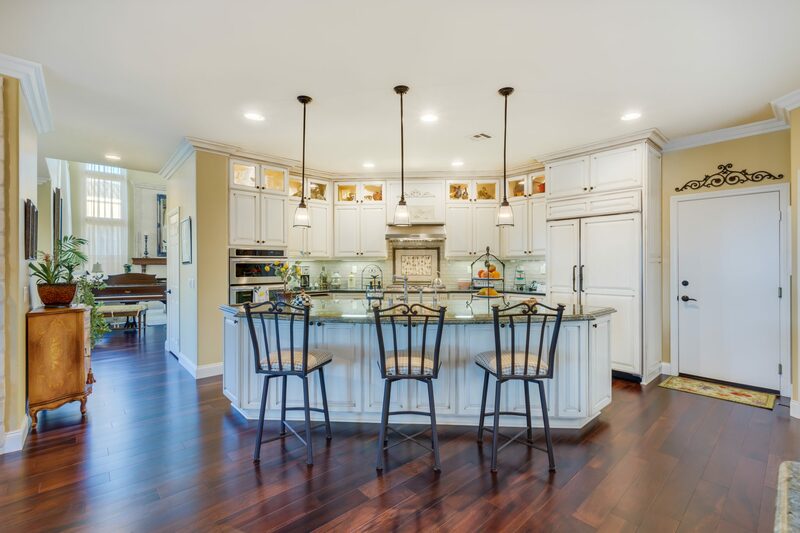 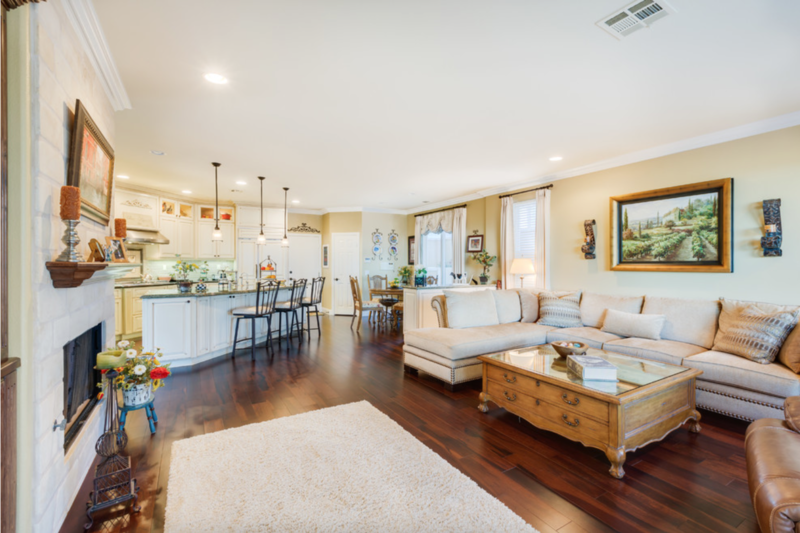 The kitchen was completely remodeled, giving a French traditional look to the great room.